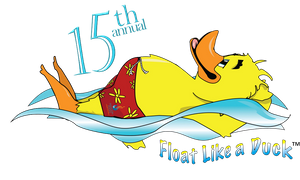 (LAS VEGAS, NV) May 14, 2018 - The 15th Annual Float Like A Duck™, a water safety public awareness campaign produced by Paragon Pools is scheduled for Saturday, May 26, 2018 from 12 noon - 4 pm at the Heinrich YMCA Water Sports Park, 4141 Meadows Lane in Las Vegas, NV. Duckie, the official water safety mascot invites the public to join him for an afternoon of fun and informative activities. The event that kicks off the summer pool season, is FREE and open to the public, children must be accompanied by a parent. The four-hour event features exhibits, hands-on activities, learn-to-float classes, and open swimming in the YMCA water park. (Las Vegas, NV) February 20, 2018 – Renowned synchro swimmer and coach, Ludivine “Ludi” Perrin-Stsepaniuk, was named the 12&Under National Team Head Coach by the USA Synchro organization. 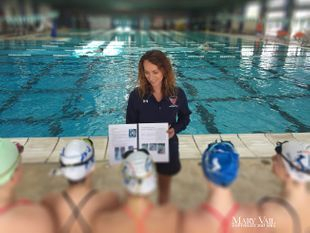 Perrin-Stsepaniuk was recruited by Myriam Glez, USA Synchro CEO/ High Performance Director (HPD) to fulfill the role as National Team Coach. Reporting to Glez, the position is responsible for the implementation of the 12&Under National Team strategy and training following the guidelines set by the HPD. Perrin-Stsepaniuk Honored as 40 Under 40 by Vegas, Inc.
(Las Vegas, NV) March 23, 2018 – Ludivine “Ludi” Perrin-Stsepaniuk owner of Ovia Entertainment in Las Vegas, NV was named to the distinguished and highly competitive Vegas, Inc. 40 Under 40 business professionals in Las Vegas. The annual 40 Under 40 is a celebration of outstanding individuals in Southern Nevada. They have demonstrated a strong work ethic and are the leaders of today as well as tomorrow; they're people who make Southern Nevada a better place to work and live. Guest Columnist for the Las Vegas Review Journal - YOUR HOME Section. 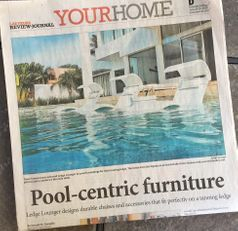 Design and Lifestyle insights on Swimming Pools and Spas. (Las Vegas, NV) July 16, 2018- Water Filtration Expert and Star of Animal Planet’s TANKED, Wayde King has pledged to install his superior filtration system in Flint, Michigan public schools while the current water issues are being addressed. King’s team has been working with the Mayor’s office in Flint to coordinate these efforts. 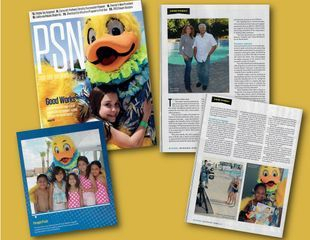 Cover Story on Paragon Pools goodwill efforts in water safety.